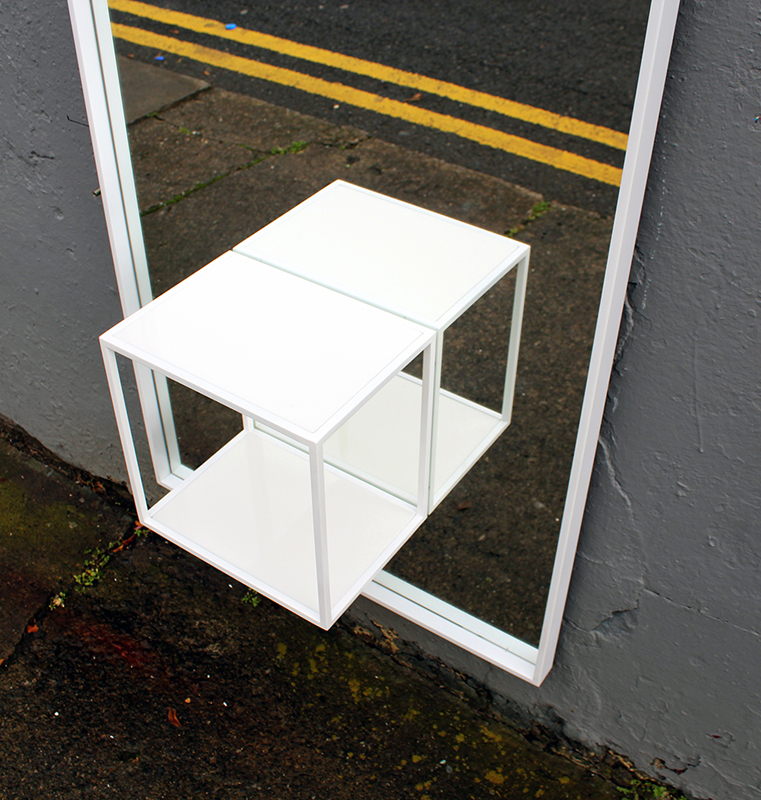 Very simple steel framed mirror with a shelf detail of a floating box. 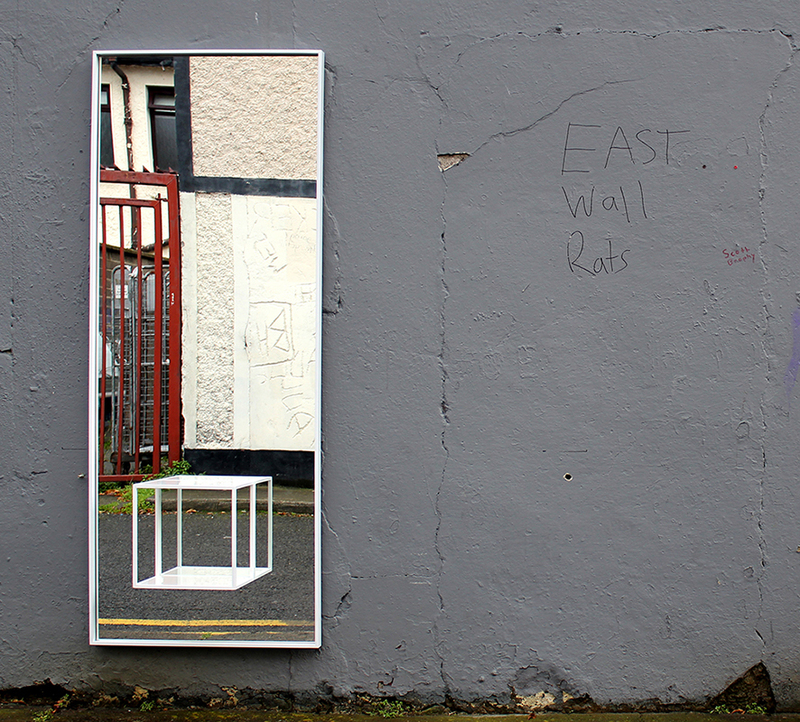 This is when a mirror needs to be more than just a mirror. This addition creates a nice optical illusion and provides a great place to display an object.